The campaign established progressive, forward-looking programs and practices needed to continue to serve our mission in the face of the challenges—and opportunities—of the 21st century. This is substantive, meaningful innovation, designed to give students and faculty the tools to build the future—and to enhance the Wellesley Effect. Wellesley’s Career Education supports each student and alumna as she explores her individual interests and talents—helping her forge a uniquely fulfilling career path. During her first semester, each Wellesley student is matched with a College Career Mentor who accompanies her throughout her career journey and provides access to opportunities rooted in the student’s own values, strengths, and interests. From there, students and alumnae are connected to diverse networks specific to their industries of interest—ultimately helping to create a successful career trajectory. Thanks to the campaign, Wellesley’s groundbreaking Career Education model prepares students for career success in a fast-moving and complex world, from their very first days on campus. With a mission to promote health and well-being, Wellesley’s new student-care coordinator is augmenting the College’s counseling services. Wellesley’s new student-care coordinator, Sandra Acevedo (pictured at left), meets a student in the newly renovated Stone Counseling Center. 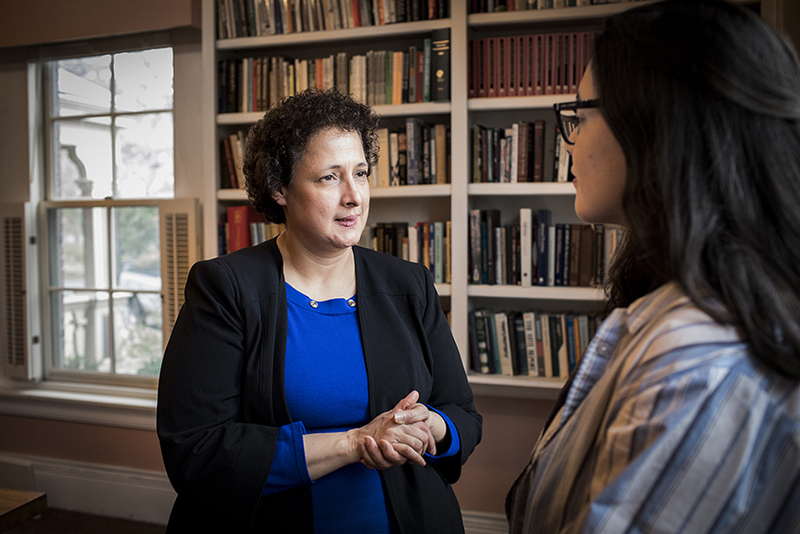 As a core staff member of the Stone Center Counseling Service, the student-care coordinator collaborates closely with the center’s dedicated counselors to provide case management services to Wellesley students. As a result, counselors can devote more time to working directly with students, and students get more help finding—and making the best use of—the resources they need to stay healthy. The coordinator is an advocate for students, partnering with the many offices across campus that interface with them—the Dean of Students, Health Services, Disability Services, and others—as well as with mental health professionals in the community and area hospitals to ensure they are getting the proper care. Nationally, the number of college students seeking mental health treatment is growing rapidly: From 2009 to 2015, that number increased 30 percent, while college enrollment increased just 6 percent. At Wellesley, we are working to ensure our students get the support they need to make the most of their Wellesley experience.